Today is my girlfriend’s birthday, and I wanted to do something special. 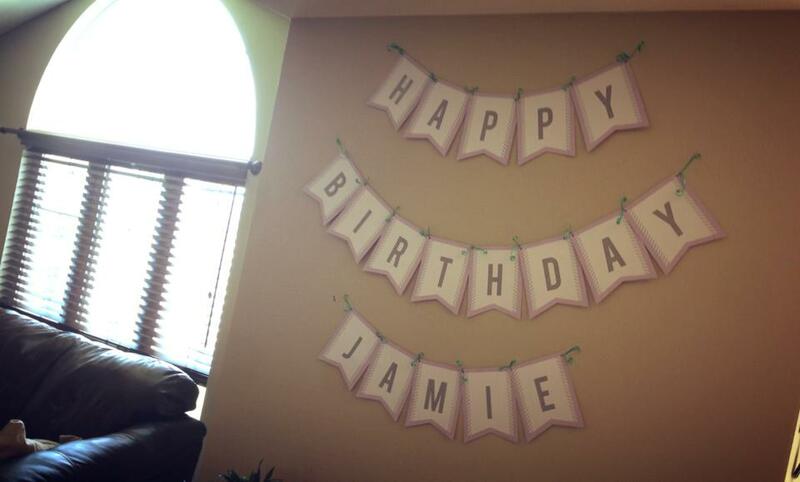 I found this printable banner on my friend’s blog and thought it would work great! It’s very stylish and easy to do. I chose to adhere each letter onto purple card stock (the GF’s fav color). The letters are sans-serif and very modern looking. You can download everything you need over at WhatsUpWithTheBuells.com. Next post: Why am I so bad at blogging?